Leuze BCL 40 is a new wave in technology. 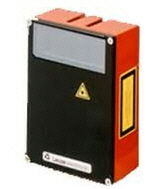 It is the world’s smallest barcode reader but not small in capability. It has a protection rating of IP 67. Its very small size makes it easy to mount in many small places. It is made out of metal (die cast zinc) making it very durable. For easy connection to the BCL 8 a MA 8 can be used. There are many different types of mounting systems and connecting cables for Leuze Lumiflex BCL 40. Reading distance of 40 to 160mm (depending on version and module size). Only available in single line scanner. Can read many different code types. Beam outlet can be ordered as straight or perpendicular. Purchase your Leuze BCL 40 Barcode Reader with Integrated Decoder today!